I got to Springfield, Massachusetts, on Thursday in time for the opening session, which included hearing from Mary Tedesco (of Genealogy Roadshow). She is an engaging speaker. In the afternoon, I heard Carol Prescott McCoy speak about Finding Someone Who Eluded Census Records. She provided a good overview of census research and then offered some creative suggestions for finding those hard-to-find ancestors in the census (and some other census alternatives). Jane E. Wilcox (of the Forget-Me-Not podcast) spoke about New York State Repositories, inspiring me to find out more about my ancestors who migrated through New York from New England to Illinois. Brenda Sullivan, one of the Gravestone Girls, spoke about the history of graveyards and cemeteries (there is a difference) and what you can find out about your ancestors on a gravestone. All of these speakers are worth learning from if you ever get a chance to hear them speak. After supper, I joined other genealogy bloggers in an informal SIG: Special Interest Group meeting where we chatted about our blogs and encouraged a few attendees to start their own blogs. It was great to finally meet in person Marian Burk Wood of Climbing My Family Tree and John Tew of Filiopietism Prism, as well as see longtime blogger friends, Heather Rojo of Nutfield Genealogy, Sara Campbell of Remembering Those Who Came Before Us, Cindy Shenette of Heritage Zen, and Pam Carter of My Maine Ancestry. Just a quick note to say hello and say how wonderful it was to chat with you and hear more about your research during the conference! Marian, it was so great to finally meet you! I hope to see you at another genealogy event soon. I saw you a couple of times from a far, but couldn't catch up to you. Russ, I also saw you briefly but you were busy presenting on Family Tree Maker! Hope to see you soon and thanks for the comment. 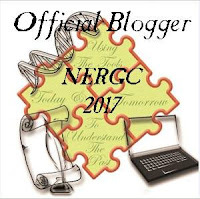 Elizabeth -- It was a pleasure to finally meet you at NERGC after following your blog and occasionally corresponding for a few years now. As this is written I am sitting in New Hope, PA at the home of my sister and her husband, Bernard Handler. 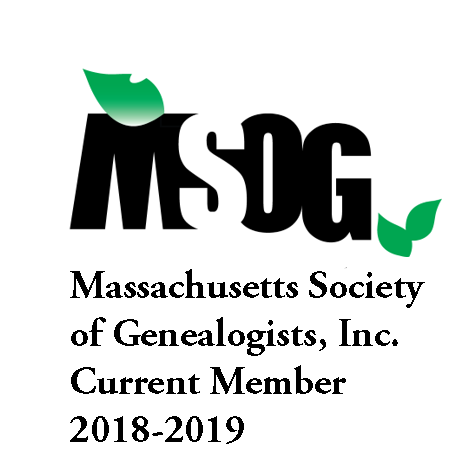 ;-) See you in Manchester in 2019 if not sooner at another genealogy event! John, it was great to meet you too. 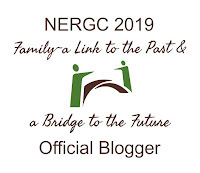 NERGC is such a great networking conference!